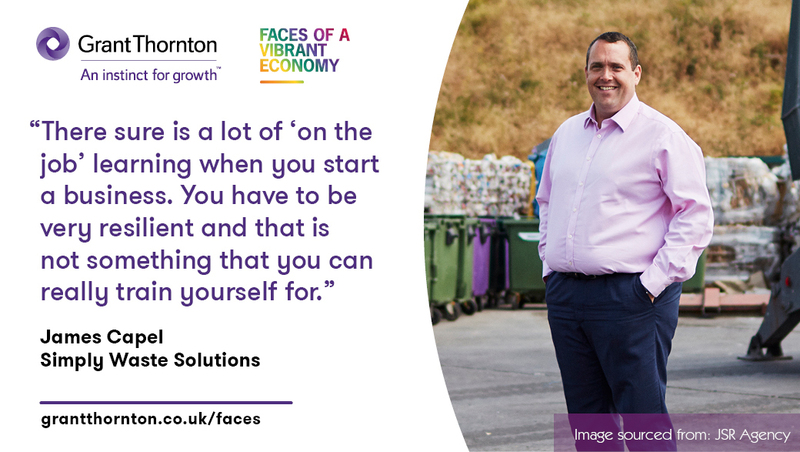 Simply Waste Solutions CEO, James Capel, has been included in this year’s Faces of a Vibrant Economy – chosen by Grant Thornton. Having James, along with the other Faces of 2018, recognised for his commitment to developing an economy that enables people, organisations and communities to flourish is a fantastic achievement. The new 2018 Faces join a wider community that is now 300-strong, this community connects leaders with similar mind-sets and missions. It gives an opportunity to share ideas and insights as well as learn from each other. If you would like to see all of the Faces of 2018 release, click here.